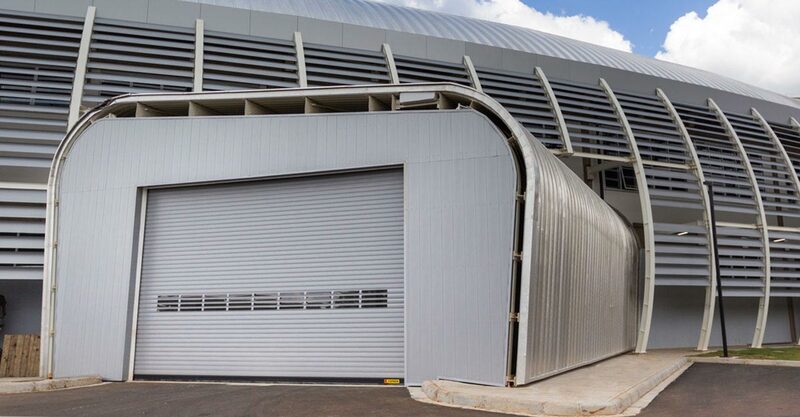 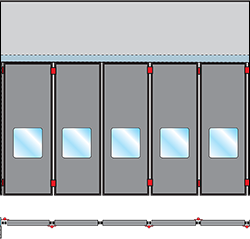 The Kopron folding doors are made from sandwich panels made from painted steel or aluminium, with an injection of CFC free polyurethane foam inside. 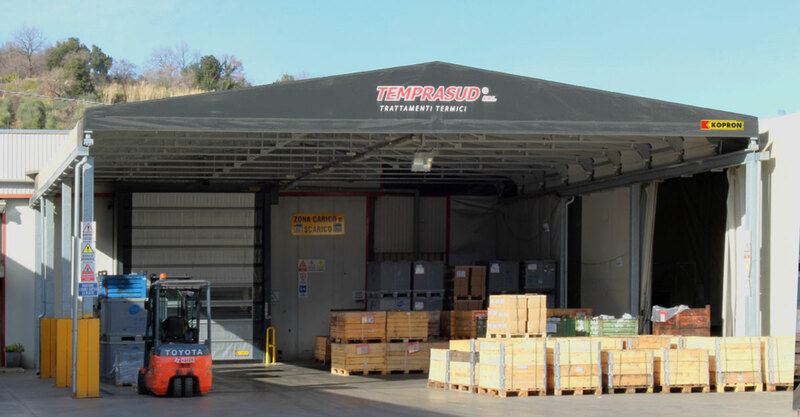 They guarantee the highest possible level of heat and acoustic insulation while special EPDM gaskets and nylon brushes on the closing profiles guarantee a perfect seal. 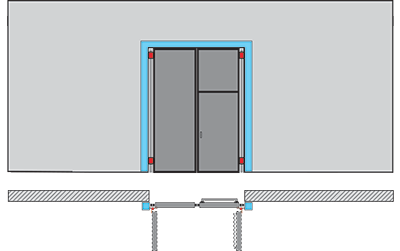 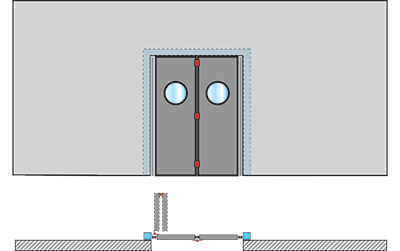 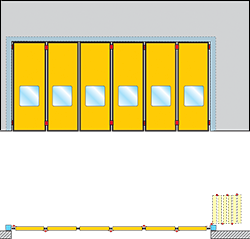 Several possibilities of personalisation are available to satisfy every possible requirement: from the addition of windows, ventilation grids and special windows, to the possibility of choosing Kopron special and personalised hinges, right through to the insertion of pedestrian doors with entrance/exit or to simplify frequent passages, avoiding the entire door from being opened unless strictly necessary. 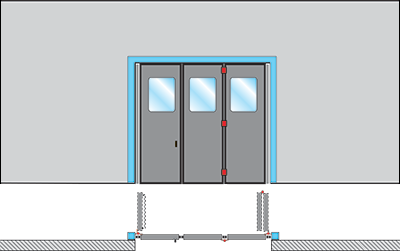 Several technical characteristics are also available to satisfy every possible requirement, such as the opening and closing system that may be manual or automated, through an operator, control panel or photocells. 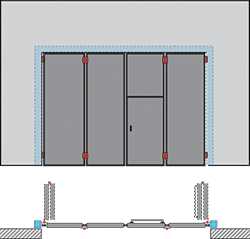 The technological level schive allows this typically external closing system to close very large areas. 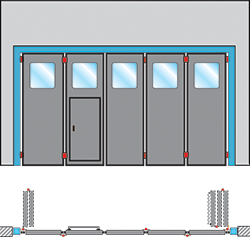 The folding doors are becoming more and more popular on ship sites, airports and military bases. 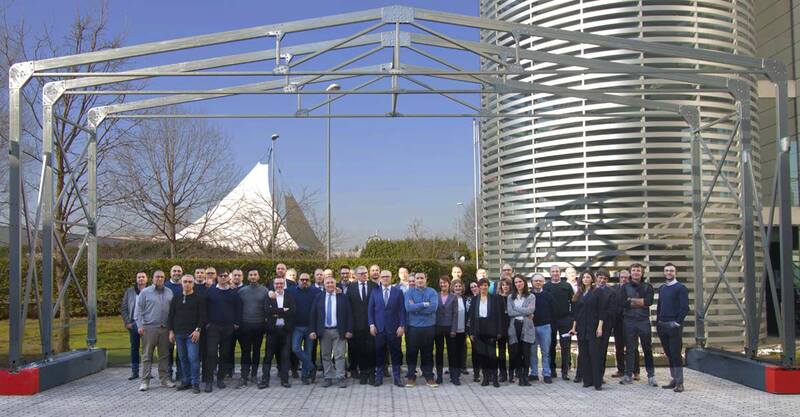 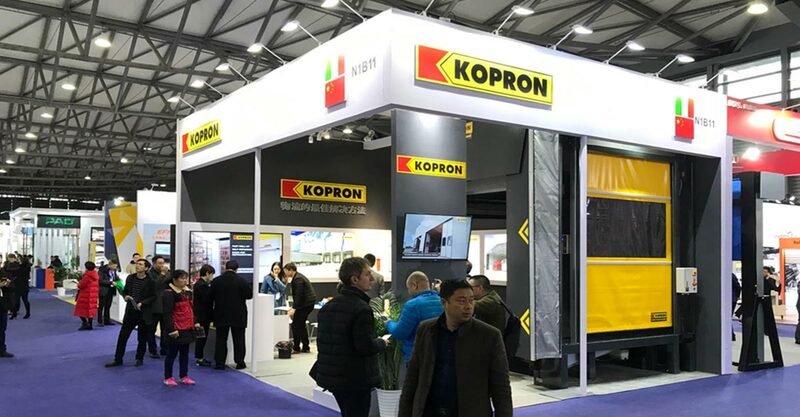 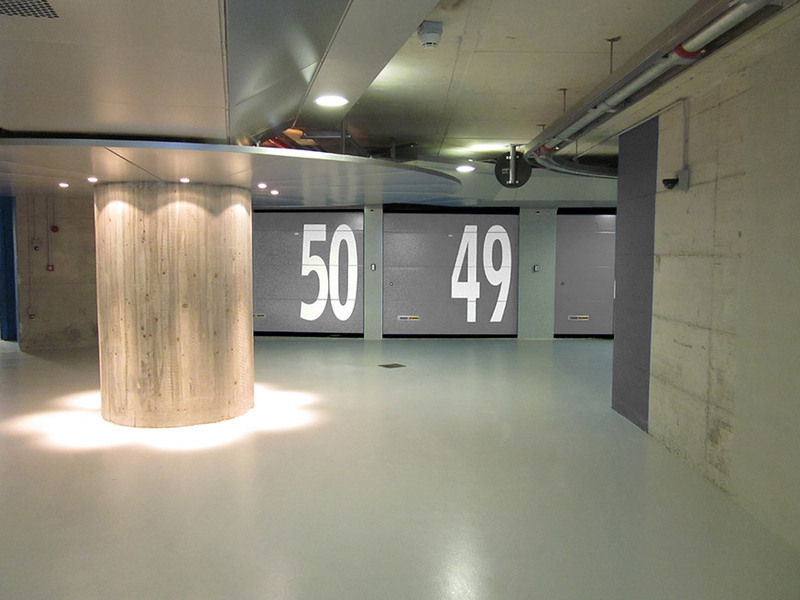 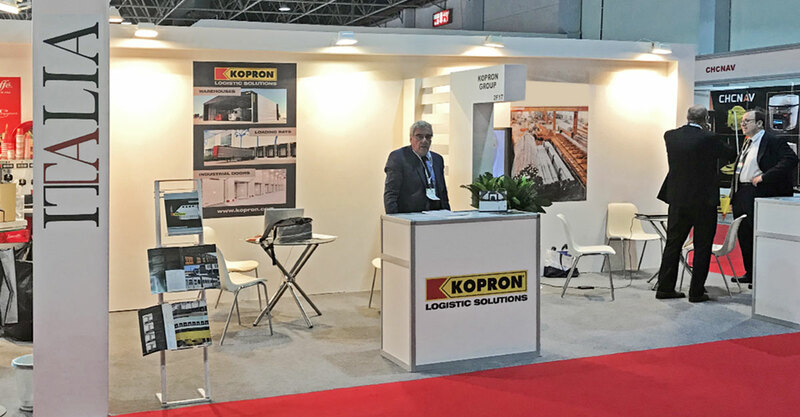 In compliance with the principle of maximum personalisation, Kopron also proposes made-to-measure Special Productions, with panels of several widths and the insertion of a pedestrian door and exclusive colours.